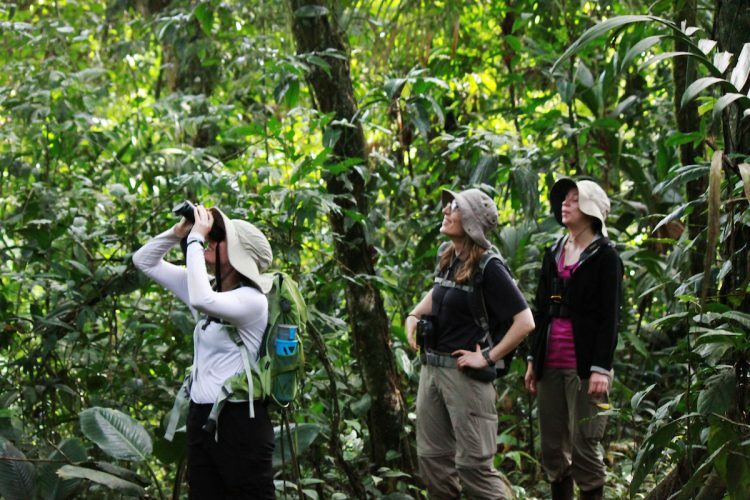 On her first day in Costa Rica, Reneé Russell ’16 and a group of researchers ventured into the rainforest. 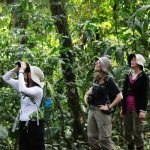 Not long into the trip, they heard a loud rustling in the trees overhead and spotted a group of spider monkeys jumping from limb to limb. One let out a scream and creeped toward them. After deciding they weren’t a threat, the small creature moved on. 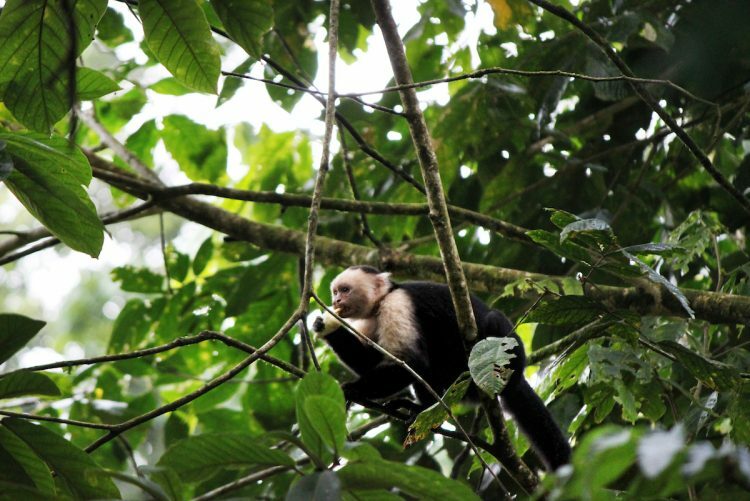 Russell studied monkeys in the wild this summer as part of the Maderas Rainforest Conservancy program. 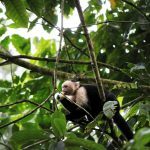 She was posted at La Suerte Biological Field Station, conducting a comparative project on vigilance in two of the three monkey species—white-faced capuchins and howler monkeys—that live on the site. Vigilance, in the field of behavioral ecology, is an animal’s examination of its surroundings in order to heighten awareness of predator presence. 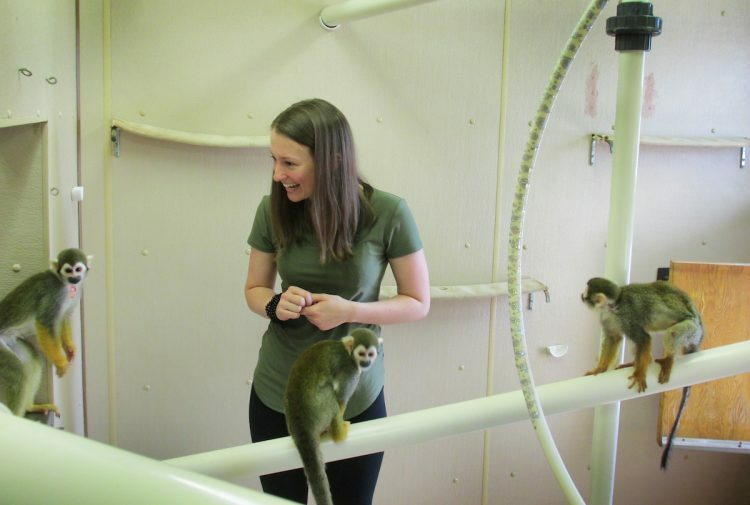 Russell is currently working towards her master’s degree in animal behavior at Bucknell University and received a scholarship from the American Society of Primatologists for this research. 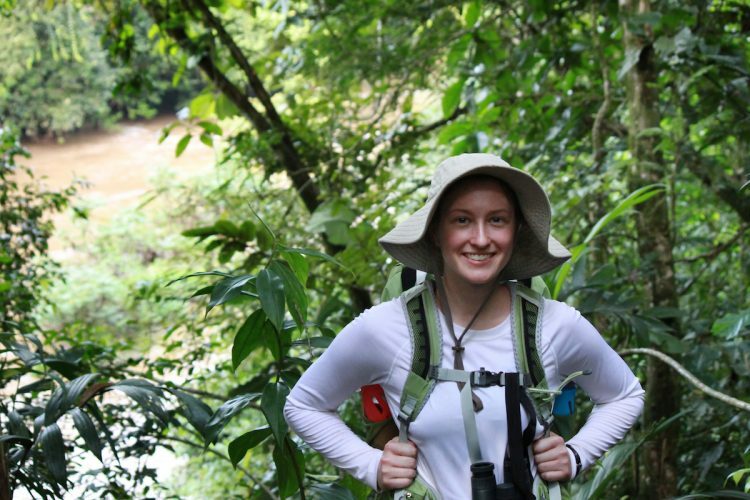 In addition to the fieldwork, she has completed extensive lab research on animal cognition at Bucknell and has specifically studied self-control in squirrel monkeys. While a student at Randolph, Russell thought she wanted to become a veterinarian. But an internship at the San Diego Zoo changed her direction, and now Russell plans to pursue a career in zoo education or primate research. 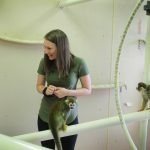 “I fell in love with how primates are just as interested in looking back at us as we are at them, and that’s what makes this research so cool,” she said.